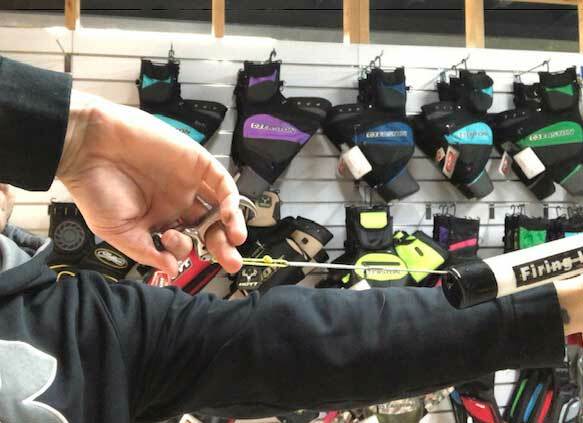 Have you been in a situation where you are trying to squeeze your release aid and it simply won't fire? You are squezing and squeezing and it simply doesn't move! So you make it more sensitive and BAM! Problem solved......for about 3 shots. Then its stuck again. So you back it off some more, worked last time, and again, it won't fire. This is a classic target panic issue where we have "Locked up". While we feel like we are excerting tons of pressure on the release or totating the hinge it's full rotation we are in fact just tensing up. This tension is preventing us from actually moving the release giving us a feeling of squeezing the release when we are in fact not even moving it. The crazy part, you can make it WORSE by making the release more sensitive. Wait, WHAT? I can make the release HARDER to shoot by making it more sensitive? You can. Lets start by focusing on Hinge releases. These are the classic release for this issue, so lets look at how the cycle of struggle begins. When we draw the release, we don't want it to fire early, so we have most of our weight on the index finger. As you make the release hotter, you need less weight on the middle finger to fire, so we end up using ALOT more on the index finger to start with. Now the cycle of problems can start. Lets say we are having trouble with the release not firing. So we make it more sensitive. This means we need to put more weight on the index finger to start. This can increase tension. This can then make the release harder to fire. So we make it MORE sensitive. Etc etc. You are in a competition, you are shooting alright then suddenly the release won't fire smoothly. You are fighting to squeeze the shot. The allen keys are right there and a small twist hotter will no doubt fix the problem. The release (we presume) has been fine leading into the event. The only thing that has changed is us. So we need to get back to what we know works. This starts in practice. You want to be able to draw the release with more even pressure across the fingers rather than fully loaded on the index finger. 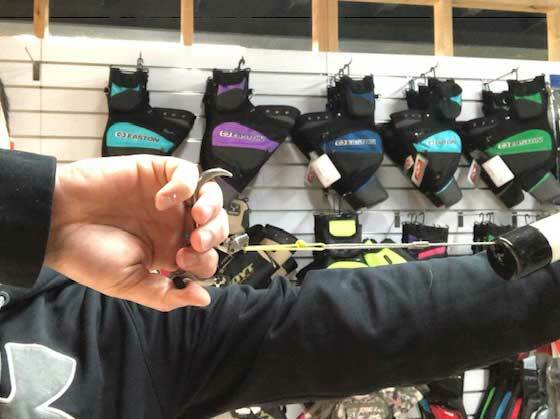 This will keep the index finger from being under huge load at full draw and allow you to relax it easier, allowing the release to fire. 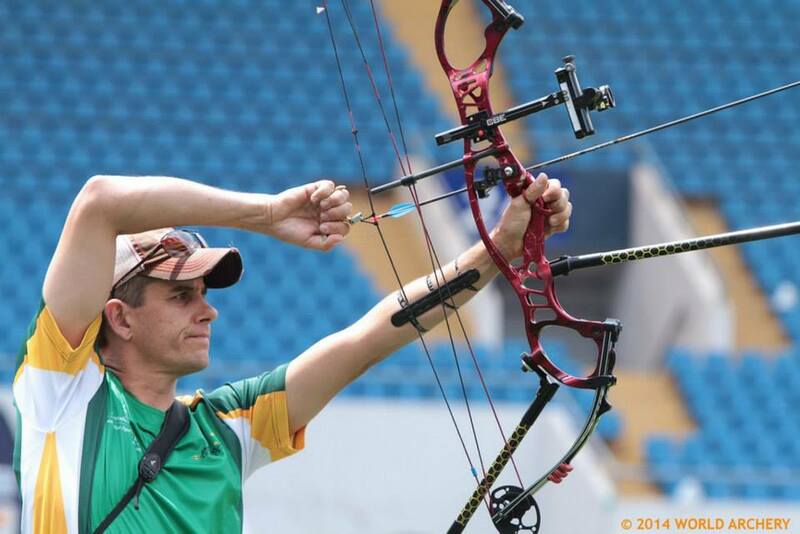 In this video you can see Peter Elzinga (purple bow) and how he uses his hinge style release. He draws evenly and then lets the release rotate with an even speed. There is distinct travel on the hinge rather than it firing immediately. This photo of Australia's Michael Brosnan also shows good pressure across all fingers. This photo demostrates the hinge release set too hot and what it does to the wrist. Because the shooter is worried about miss-firing he is bending his wrist and taking all weight off the middle and ring fingers. This will make the release harder to fire. Now with more travel on the release the wrist can be straight and move even finger pressure. Here is Jesse Broadwater and Braden Gellethien shooting hinge releases. So know that excessive tension in the release hand is causing these lock ups. However how do we cope when it happens? We bascially need to "get back in the flow" when this occurs. When shooting in practice the key is to build a very consistant timing in your shot. The shots should be quick and always moving. The release should be a suprise when it fires. Once you have this flow going then in competition we simply want to replicate that flow. This usually fails when we start trying harder to shoot them in the centre rather than letting the shot happen. • Speed up your shot process. Not a "punch" or snap shooting, rather just quicker. • Relax your hands, including your bow hand. Buy focusing on a relaxed hand you can help the release move more. • Have a slower release to switch to. Sometimes I will swap out my normal release for one with more travel to make me work the shot more. We can be afraid to do this in case we start dropping points. However you may be better off dropping a point then than having it get worse and worse. For more information on using your release here is a good video by George Ryals on the subject.